170405 approaches Usan and the end of the short Montrose to Usan section of single track on 5 May 2008. 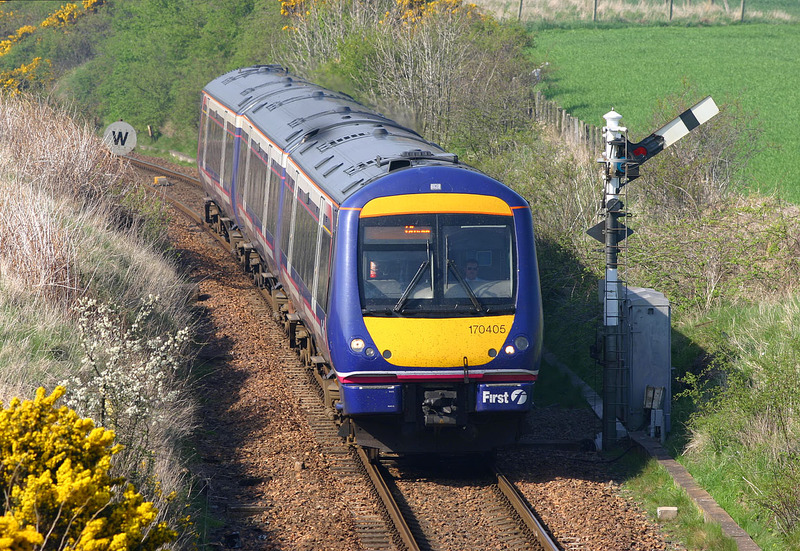 It is working the 15:33 Aberdeen to Glasgow Queen Street First ScotRail service. This short section of single track on an otherwise double track mainline can be something of an operational bottleneck, however the viaduct at Inchbraoch would be a major stumbling block to adding a second track and the present level of service can just about cope with the inconvenience.